Coming up this October, 16 bloggy friends and I are going to present to you a Block-a-day Quilt-Uberfest for the fall and winter seasons approaching…..and you are going to love it!! We are all working with an upcoming line called Sleeping Beauty by Nel Whatmore for Free Spirit Fabrics. I sent each blogger 2 or 3 prints from the line and 1 or 2 woven stripes or shot cottons from Kaffe Fassett‘s lines and told them they could add one fabric of their choice. I thought that would combine the individuality of each designer with an overall cohesiveness to the quilt. When the quilt is finished, we will be donating it to a charity for auction, and we will definitely let you know about it!! Here is the line up of Fantastic Peeps! and last minute special guest…Oct 17th Sarah Fielke!! 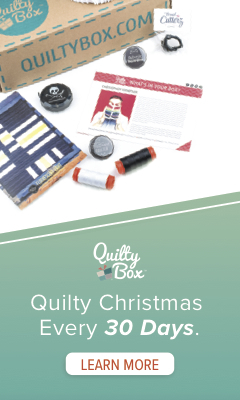 Each day you can go to their site and find an 12″ finished original block designed for you to create and work with the others into a sampler quilt or make many single blocks of your favorite into a one block quilt….or create a two block quilt…or a three block quilt…you get the idea! We have a Flickr page all set up and waiting for you to share with everyone else your version of our blocks. So get ready…pick up the sauerkraut and kielbasa at the market and your favorite stein of beverage and get ready to Uberfest with us starting October 1st with my friend John and then check out all the rest of us! We plan on having PDF’s available for all of these as well so you can download them as needed..
Do I hear a Tuba playing?? Looking forward to everyone’s blocks. Thanks for that afternoon laugh! This sounds like fun! I’m looking forward to it! Oh Thank you. I’m super excited. Can’t wait for October. Sounds like a ton of fun. Can’t wait. Oh, this sounds great. I’m intrigued to see the finished quilt, should be stunning. And it’ll be fun to play along, as well! I’m very much looking forward to this. I’ve never kept up with any quilt alongs, so I plan for this to be my first. Will you have a fabric requirement list, or will it be more scrappy? well we are using a line of fabric as the sample…but I say go scrappy as we are not really doing a fabric requirement list. Wish some of the people on your list would get with the program and get their blocks on their site. Eleanor, I have checked all so far, and they all have their blocks up. I have had to go around after they post and make sure the directory leads you straight to their block. The ones later in Uberfest will link within 24 hours of their original posting…..thanks for your patience with us all…. Today: 11. 10 is: it out-not letting access. Can I get the pdf on another Place?? It didn ´t work today. I fixed the link, I hope, please go retry it now? yes? This is going to be a lot of fun to see all the blocks done in different fabrics. Thanks for many hours of fun. I stumbled on this quilt along, but cannot find links to the blocks for oct9, oct12, oct13. Can anyone help me get the links to these?